Great Dental Care. Competent Staff. Welcoming Environment. Our dental office in Old Bridge, NJ is ready to provide you with great dental care. Our services cover a wide array of dental procedures, from dental implants to Invisalign treatment and endodontics. We also offer pediatric, cosmetic, and restorative dental solutions. 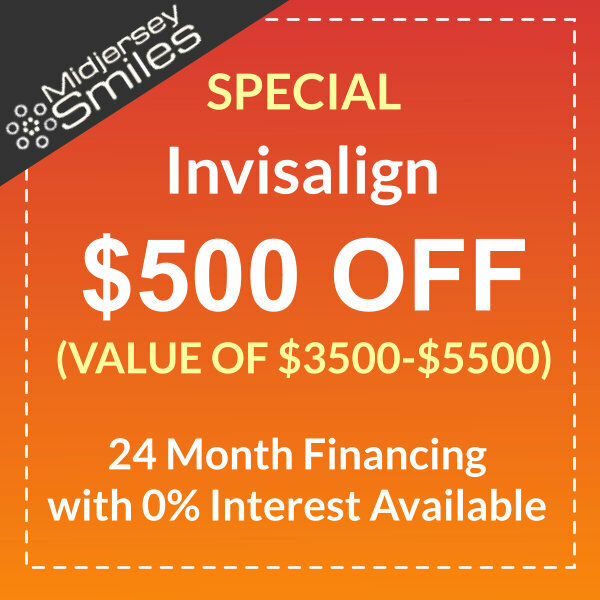 Whatever your case, Midjersey Smiles can give you a healthy, beautiful smile. Trust our competent staff to attend to your needs. Our team is committed to providing a great patient experience, including excellent dental solutions and a warm, friendly environment. 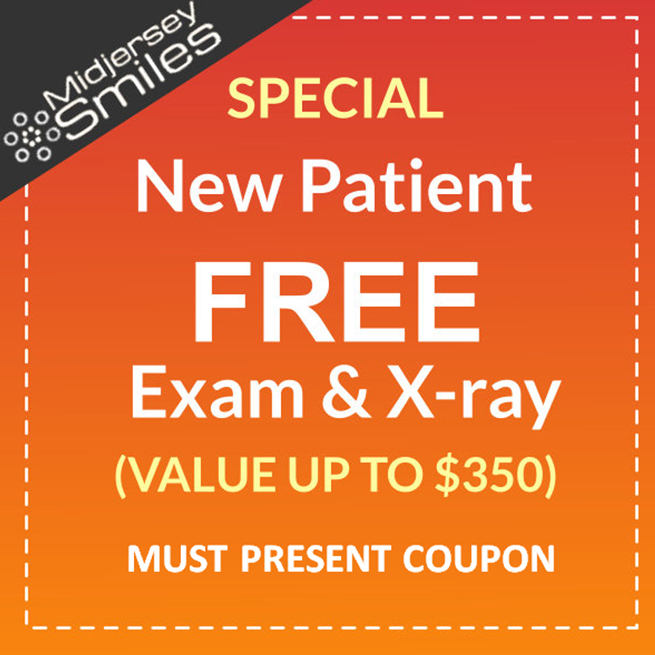 Midjersey Smiles’ doors are always open to new patients. Our clinic would love to have you as part of our growing dental family and to help you achieve optimum oral health. Explore our website to learn more about us. Here, you can find information about our staff, our office, and the procedures and services that we offer. Got questions or concerns about your dental health? 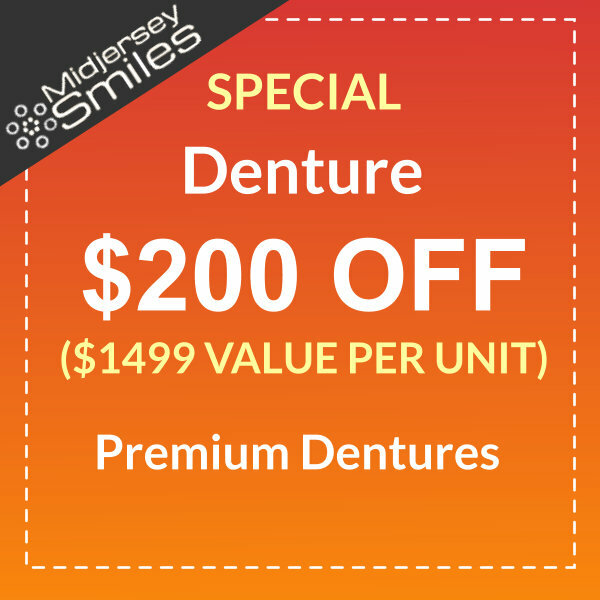 Don’t hesitate to reach out to our Old Bridge, NJ dentist and schedule an appointment. Contact us today, and we’ll give you a winning smile! Dental implants are titanium screws mounted on the bone that serve as bases for tooth replacements. These are a series of clear, removable, comfortable plastic aligners that gradually correct misaligned or crooked teeth. Our tray whitening system can make stained or discolored teeth up to 8 shades whiter. Dental crowns are porcelain or metal caps that encase and strengthen damaged teeth. Good oral practices prevent dental diseases from developing and ensure a beautiful smile. Veneers are thin, ceramic shells that redesign and reshape damaged teeth. 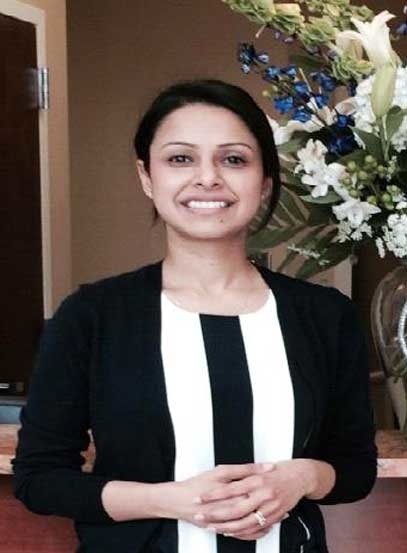 Dr. Ruma Anand is a graduate of the New York University College of Dentistry, one of the best dental schools in the country. As a dentist in Old Bridge, NJ, she constantly seeks to improve her clinical skills by attending continuing education programs, especially in cosmetic dentistry, orthodontics, and implants. She listens to her patients well to provide an accurate diagnosis and takes the time to explain treatment options. She helps her patients choose the best course of action for their oral health. Moreover, Dr. Anand has a gentle touch; she can make apprehensive patients, especially children, relax. 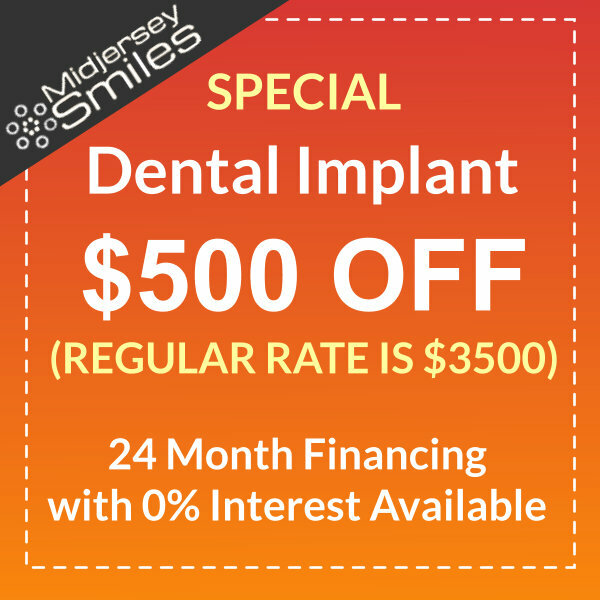 This way, they enjoy a positive experience at Midjersey Smiles.